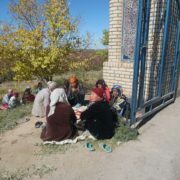 Employees of Kokand’s (Ferghana region) Clinic No. 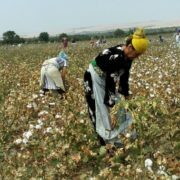 8, who have been mobilized for the cotton harvest, are being threatened with dismissal from their jobs unless they fulfil their daily cotton quotas. 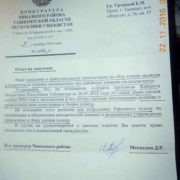 Evidence can be seen in the video sent to Ozodlik that the clinic’s director is forcing employees to write and sign a letter of agreement. As shown in the video, the official is dictating a letter to employees. It states that employees who fail to fulfil a 50 kg daily quota must resign from their jobs. 31 employees from Kokand’s Clinic No. 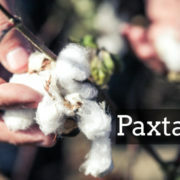 8 were mobilized for the cotton fields in the village of Polvontosh in the Furkat district and have been picking cotton there since 13th September. As one of the employees from this particular clinic has stated during unrecorded conversations with Ozodlik, the clinic’s directors are threatening to fire employees who fail to fulfil a 50 kg daily quota. The interviewee has sent video footage as proof of what he/she reported. 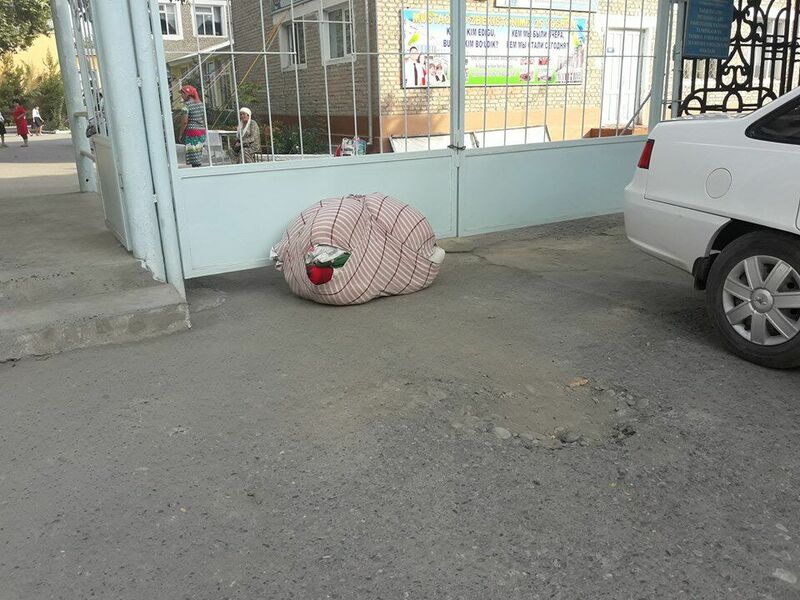 The video shows that a senior nurse, Aliya Madaliyeva, is forcing the employees who have been sent to harvest, to sign a written letter of agreement. “If I do not make 50 kg per day, I agree that action should be taken. I declare that this letter was written personally by me”. As can be seen in the recorded video, this text was dictated to the clinic’s employees by the senior nurse. Officials from Clinic No. 8 have confirmed that the woman recorded in the video is Aliya Madaliyeva. 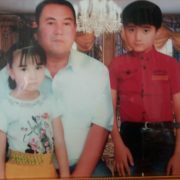 “Aliya opa came over in the afternoon. She forced me to write the letter stating that “I agree to any action which is taken if I do not fulfil my daily quota”. Afterwards, she also forced those who came to the cotton field later than 6 o’clock to make the same statements in writing. “The essence of the statement is “If I do not come on time, I will resign”” says one of the colleagues of Madaliyeva. Aliya Madaliyeva: I was just giving them a reprimand. Ozodlik has contacted Aliya Madaliyeva and asked her to comment on this video and the reasons why she was forcing her colleagues to sign these letters. Aliya Madaliyeva: No, no, no. There was nothing like this. I just gave them reprimands. What am I supposed to do when they harvest only 6-7 kg per day? Ozodlik: Generally speaking, what right do you have to force them to pick cotton? Is there any lawful cause for it? Aliya Madaliyeva: No, I have neither such right nor cause for it. Furthermore, I have no such authority. Ozodlik: Why did you make them write and sign it then? Aliya Madaliyeva: I came just to say keep picking cotton. I did not say anything like that. Ozodlik: But it is recorded in the video that you had been forcing them to write those letters of agreement. Aliya Madaliyeva: I did not force them to write such things. 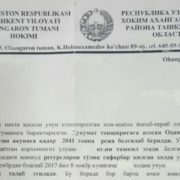 Using this kind of letter of agreement when workers are forcibly mobilized for cotton picking is a well-accepted practice in Uzbekistan. This is a way of laying the responsibility on the workers themselves. 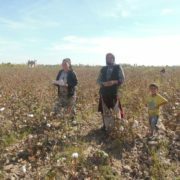 Ozodlik reported earlier on another similar case when students of Samarkand State Institute of Architecture and Construction were forced to sign letters agreeing to their dismissal from their studies if they refused to harvest cotton.